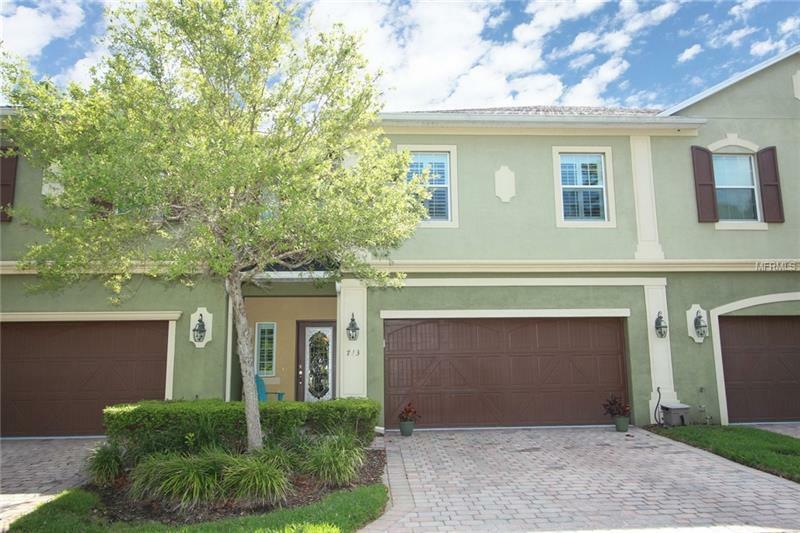 Now is your chance to own an immaculate & well-appointed townhome inside the private Oviedo enclave of River Oaks! The community consists of 50 townhomes, nestled within a protected conservation area that backs to the Little Econ River Basin. Once inside the gates, drive the park like setting leading to the rear cul-de-sac of the community. This retreat is nestled within nature, just beyond the community pool, playground & mail center. From the outside, enjoy a 2 car paver driveway w/ lead walk, conservation views from the front and back, & peaceful pond at the top of the cul-de-sac. The 2100 SF+ of space lives like a single family home. Upon entry, your eyes are drawn to the natural light streaming through the family room sliding glass doors. Ground floor living includes the owners retreat, family room, center set kitchen w/ large island accommodating seating, separate nook/dining/work space, walk in pantry, & powder bath. The peace & privacy of nature is ready to be enjoyed any time of day from the screened lanai. Upstairs has the perfect 22x16 flex area for an office, playroom, fitness or hobby space. Secondary bedrooms have walk-in closets. The full hall bathroom has dual sinks & linen storage closet just outside it. Location, location, location. Seminole county top rated schools, walking distance to Publix, Walgreens, Shane Kelly Park, dining, coffee, & more! Oviedo on the Park, City Aquatic Center & Gym, Town Center Mall, Medical facilities & entertainment are all just minutes away! Pet Restrictions: Please reach out to the HOA to confirm all info.